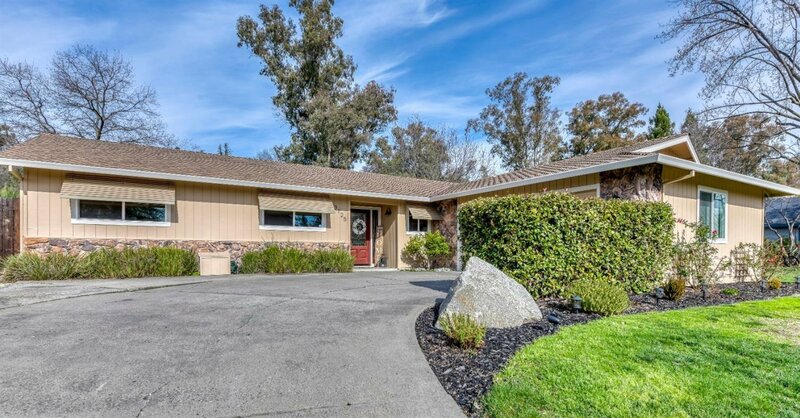 Find all the modern day finishes while falling in love with the original charm in this stunning ranch style home in Rocklin. Upgrades throughout include: custom kitchen cabinets, granite countertops, stainless steel appliances, wide-plank laminate flooring and new carpet in bedrooms. Functional and versatile spaces allow for formal dining space, convenient breakfast bar, built-in office space, and more! Entertain under the covered patio with stunning views of the Sunset-Whitney Recreation Area! Enjoy your morning coffee while watching the deer graze or the turkeys mingle. You'll find this home in the established neighborhoods of the Sunset-Whitney area , just minutes away from award winning Rocklin Unified schools, shopping and entertainment. This home is a must see! Listing courtesy of Olani Properties. Selling Office: Keller Williams Realty Folsom.